Daydreaming about your next international vacation? 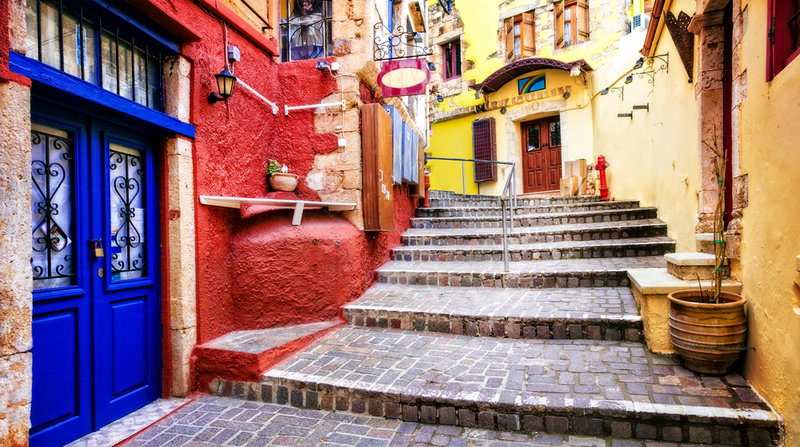 We've got a must-see destination to add to the tip of your itinerary: Crete. As the largest of the Greek islands, Crete offers breathtaking landscapes ranging from white sandy beaches to towering mountains and is famous for being the birthplace of the Greek god Zeus. The capital, Heraklion, actually was the fastest-growing tourism destination in 2017, and it's easy to see why! 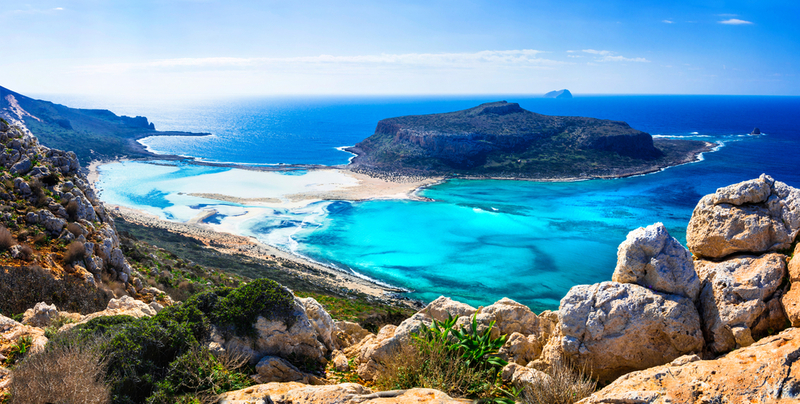 Located in the Mediterranean Sea, Crete is approximately 160 miles long and 37 miles wide at its widest point. It offers 650 miles of coastline and offers a balmy Mediterranean climate, though snow is not uncommon on the mountaintops between November and May. There are three airports there, with one in Heraklion, one in Chania, and one in Sitia. You can also get there by ferry from Athens. Crete was settled at least 130,000 years ago, and it offers glimpses of its historical roots even today. Check out the state-of-the-art Heraklion Archaeological Museum, where you can view artifacts spanning 5,500 years. The 150,000 square foot Palace of Knossos was the political and ceremonial center of the Minoan civilization, Europe's most ancient advanced civilization. Construction is thought to have begun in 150 BCE. The legend of the Minotaur took place here, suggesting that a creature that was half-man and half-bull lived in its labyrinth. Other historical sites to check out include the palace-city of Phaestos, the 16th-century Arkadi Monastery where hundreds of locals massacred themselves as well as invading Turks, and the Palace of Malia. There are plenty of caves to explore in Greece, such as Dikteon cave, where Rhea is supposed to have hidden to give birth to Zeus; she then raised him in Ideon Cave. Melidoni Cave is an eerie cave that was used as a place of worship and became the site of a massacre in 1824. If you prefer to hit the beach, Preveli Beach, Sweetwater Beach, Balos, and Vrissi Beach are all good choices. The Venetian Harbor is a charming place to visit where you can peruse local shops and indulge in authentic taverna fare. Animal lovers will appreciate a trip to the Agia Marina Donkey Sanctuary, where abandoned and abused donkeys are cared for. You can bring along apples or carrots to feed them, and you can even "adopt" a donkey to help provide for their care! They have strict visiting times so that the many elderly donkeys can have adequate time to rest, so check their hours on their website before heading over. Foods that you'll enjoy in Crete include olives, olive oil, yogurt drizzled with honey, cheeses (such as feta, graviera, myzitra, and anthotiros), traditional mountain goat or lamb, smoked ham, kebabs, risottos with goat butter, gyros, and more! Crete offers wonderful wine tours you can indulge in, though the most popular local alcoholic beverage is called tsikoudia, which is often served with cold cuts, olives, and hard cheeses. As for places to stay, Crete offers everything from resorts and hotels to apartments and hostels that can accommodate any budget.